About three months ago, I wrote a post on the Qualitaly project and run a giveaway on the 32 Via dei Birrai Italian artisan beer. Three months later, now the project goes on to take diners to another culinary destination, Abruzzo. Before continuing on writing this post, I would like to thank the Italian Chamber of Commerce and Industry, not only because they invited us for the dinner, but also their contribution in promoting the Italian culture and their food and wine of different regions. Although I am not an Italian, I like the cuisine and I also like the idea of promotion of different cultures of ethnic groups. Australia is a multicultural society and our ethnic groups are all contributing to make this country better and stronger. We should acknowledge their contribution and respect each individual cultures while maintaining our own. The Qualitaly project aims to educate and show people with the real concept of Italian cuisines by different regions. 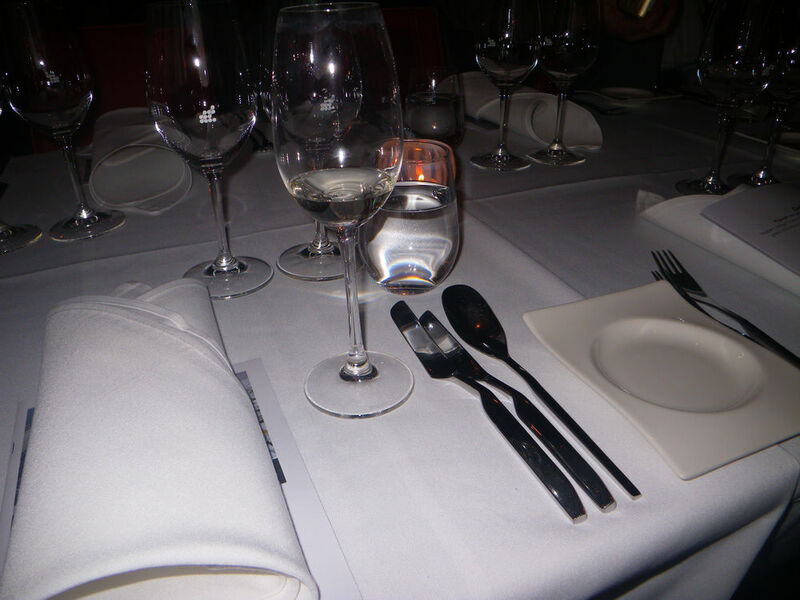 It consists of a series of themed dinning event at various Italian restaurant around Adelaide to showcase the most authentic Italian cuisines and will take the diners to travel across the country gastronomically. The experience will be something unforgettable because for each dinning event, diners will go to different parts of Italy virtually to enjoy their cuisines with strong regional characters. The place we went last night was Abruzzo, well gastronomically. Abruzzo is a region in the central Italy, with its western boarder 80 Km east of Rome. The region consists of the Province of Chieti, L’Aquila, Pescara and Teramo. Abruzzo is also a wine production region in Italy, with Montepulciano being the most widely planted principal grape, producing dark and tannic wines. In terms of food, the region has a distinctive type of cuisine with certain pasta, seafood, lamb and rustic pizzas being the typical dishes to be observed. 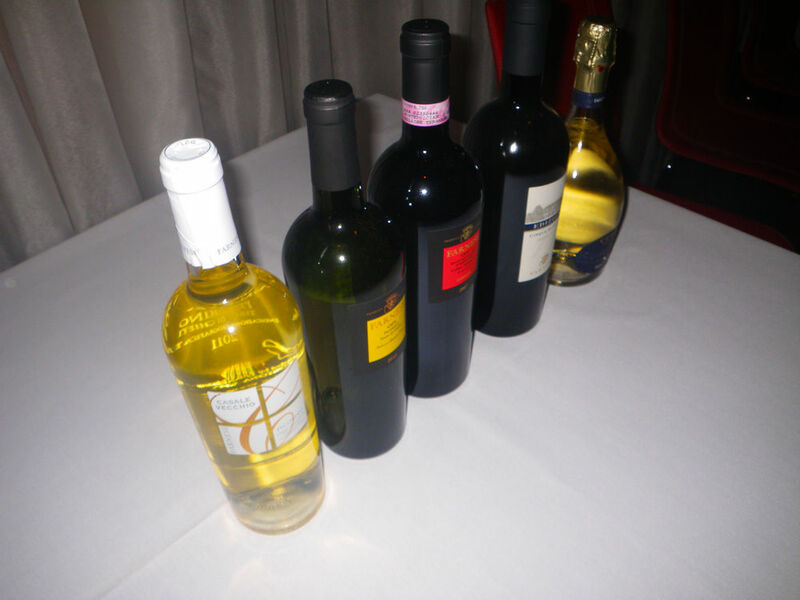 It was a four course dinner accompanied with matching Italian wines from Abruzzo. The wines were provided by Festival City Food and Liquor, which has been in business for over 35 years. 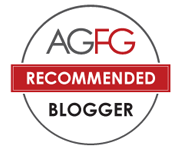 This is a distributor I would like to introduce to my readers because they stock quality authentic Italian and Australian wine and specialty food products at a much less price. For example the champagne for the night (the right most wine in the picture below) only cost about $14.00. They once invited me to their prosciutto night and I tasted some good imported prosciutto products which tasted super good but unfortunately I lost my photos due to the computer crash. Otherwise I would show everyone how they look. Anyway if I have a chance to get some , I’ll put a post up. Surely, the best prosciutto I ever tasted. 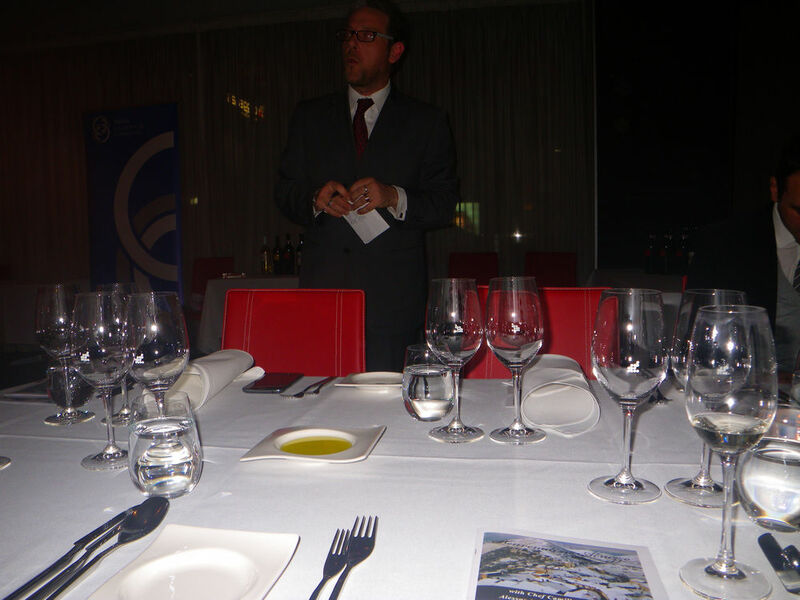 Before starting the dinner, the Secretary General, Teo, introduced the Qualitaly project to the diners and gave brief introduction to the Abruzzo region. In fact, the Qualitaly project will take the diners to experience cuisines in all Italian regions and Teo mentioned the whole process would take 1 year and a half or so. I truly think this is a good campaign because in this way, Australians can get an experience with real Italian food and hence know more about the country and its culture! After this short conversation, the food started to flow to the tables. 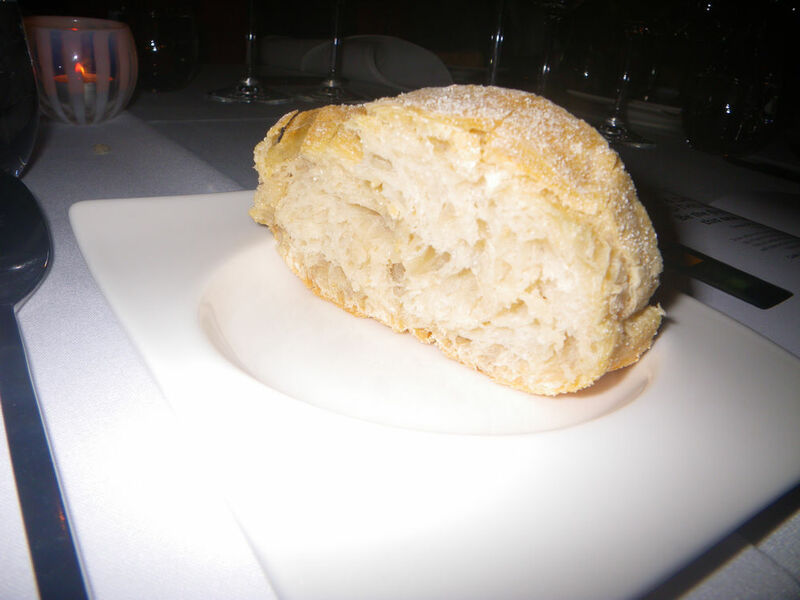 As dinning in any restaurant, bread is a must and the bread in this place was freshly made with crunchy crust on the outside with warm and soft centers. 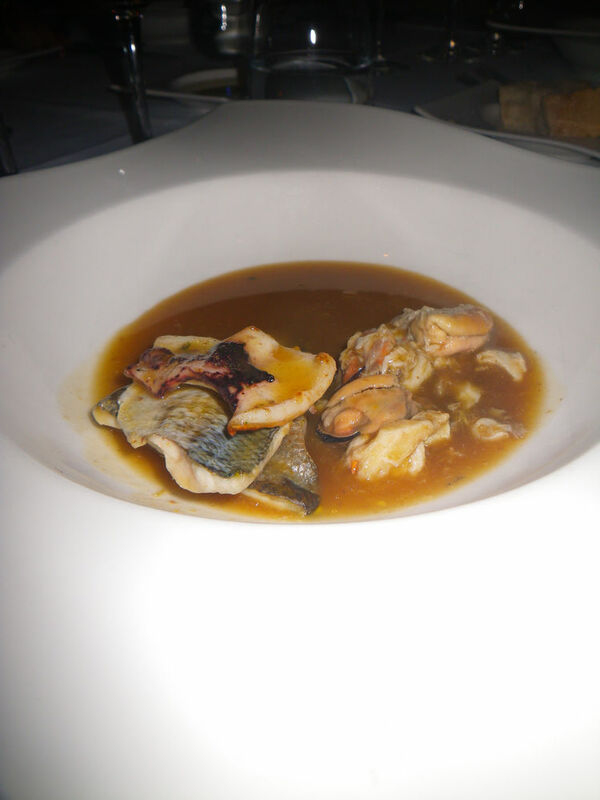 The first course was a seafood dish, Brodetto di pesca alla Vastese. 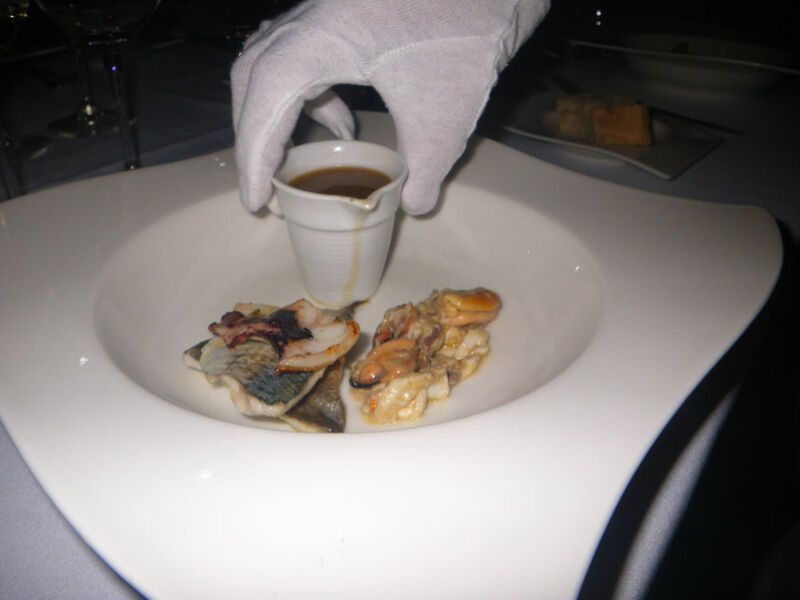 The dish came as several pieces of seafood with a small cup of sauce, which was then poured to the seafood. A strong sea smell came to the nose immediately after pouring. Brodetto di pesca alla Vastese – Fish stew of mullet, tommy ruff, mussels & cuttlefish cooked in a terracotta pot with red wine vinegar & aromatic herbs. This is a stew dish of seafood which has been cooked in a terracotta pot with lots of clays. According to the sommelier of the event, Alessandro, the dish is best made with small fish and hence it showcases the Italian philosophy of cooking, ie. simple delicious cooking that does not waste anything. Therefore, in the dish, we can see mullet and tommy ruff which were all small fish. Regarding the flavour, a strong seafood freshness could be expected on the palate. The broth was rich and flavourful and the seafood was well cooked with soft texture. They were easy to bite, especially the cuttlefish, which was so tender. People may ask what about if one does not like seafood flavour?! Now, that’s where the matched wine come in to play. 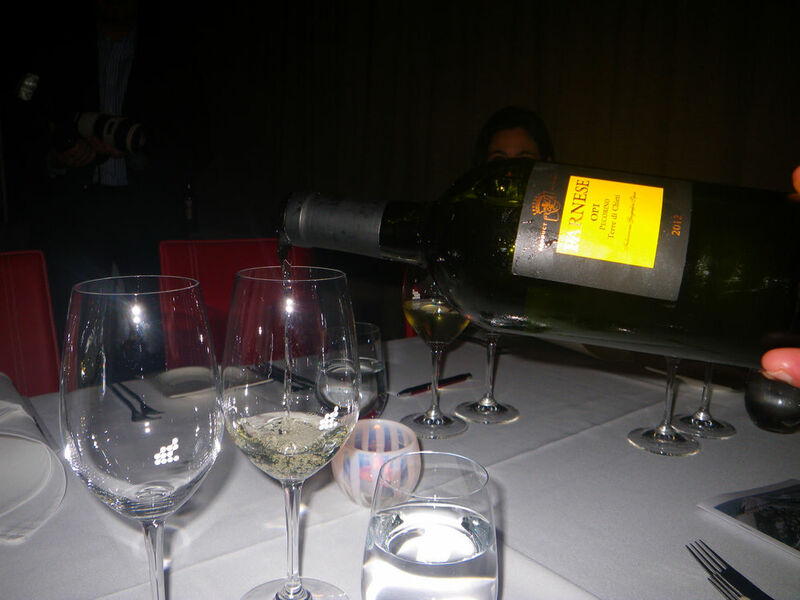 The matching wine with the above stew was Farnese OPI Pecorino, a straw yellow with slight golden color. On nose, a tiny smoke taint can be smelt on nose. In fact, I don’t generally like wines being smoked, but this wine has blown my mind because the smokiness was neutralised with the seafood flavour and once one sipped the wine with the fish stew, a pleasant mouth feel can be experienced as the bitterness and astringency on palate was minimal but the sweetness and fruity flavour can be easily detected. 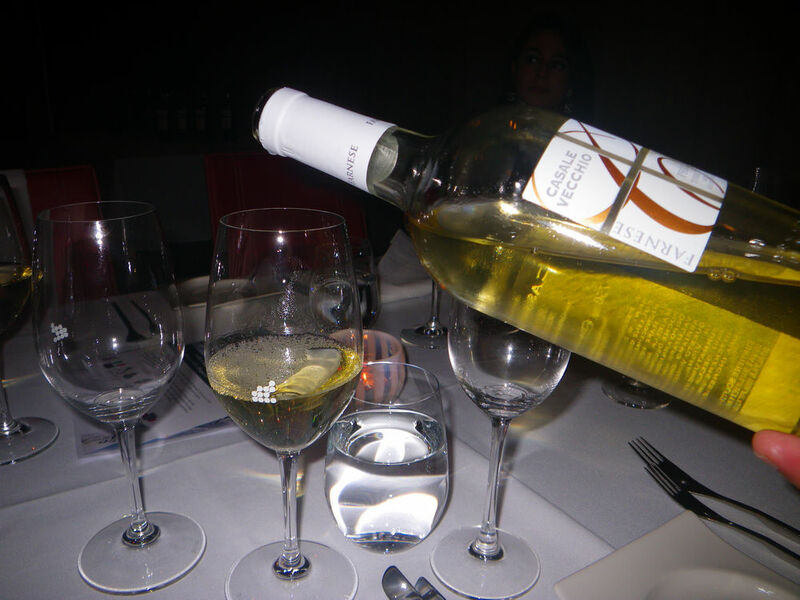 The acidity for this wine was low and this well balanced wine was of fine quality. Spicy fragrances could also be detected after smelling 2 or 3 times. Perfect match to the stew dish! The second course was a baked dish. Again, the tomato ragu was poured to the eggplant at the delivery of the dish. The baked eggplant was cooked to perfection. Both the skin and the flesh was soft and tender. At the bottom of the dish was the whole egg and on the top was the cheese. The cheesy flavour enhanced the fragrance of the eggplant. Believe me or not, I didn’t notice the whole egg until looking at the pics today. I surely drank too much! LOL :P. Campotosto mortadella is originally made in limited quantities in the province of Aquila and is a distinctive sausage of the Abruzzo region. The sausage was very fine in texture and was made entirely of pork. Salt, pepper and a hint of white wine flavour was detected on palate and this also introduced an extra layer of complexity in flavour to the dish. The really bonus was the tomato ragu, which balanced all flavour very well. This wine was also a good complement to the dish. Woody, white grape fruit and balsamic on the nose with good acidity. Stone fruit on the palate initially and gradually became creaminess at the back of the tongue. The pecorino is the name of an Italian cheese made from ewe’s milk and in this context, the pecorino is a variety of vine with a low production per hectare and the grapes of the wine were mainly sourced in the province of Chieti, a part of Abruzzo. The third course was a pasta dish. As with every Qualitaty dinner, a pasta dish was always included as it’s a symbol of culinary excellence of Italy. Pasta alla Pecorara is a traditional dish in the Abruzzo region. The dish was very nice to taste with strong ricotta being cheesy and creamy. The sausage was balanced well in flavour. The tender sausage was full of fine grind of pork and slight spicy and sweet herb flavour from the fennel. Yummo! This red was intense in color and have good spiciness on palate with jam and tobacco. 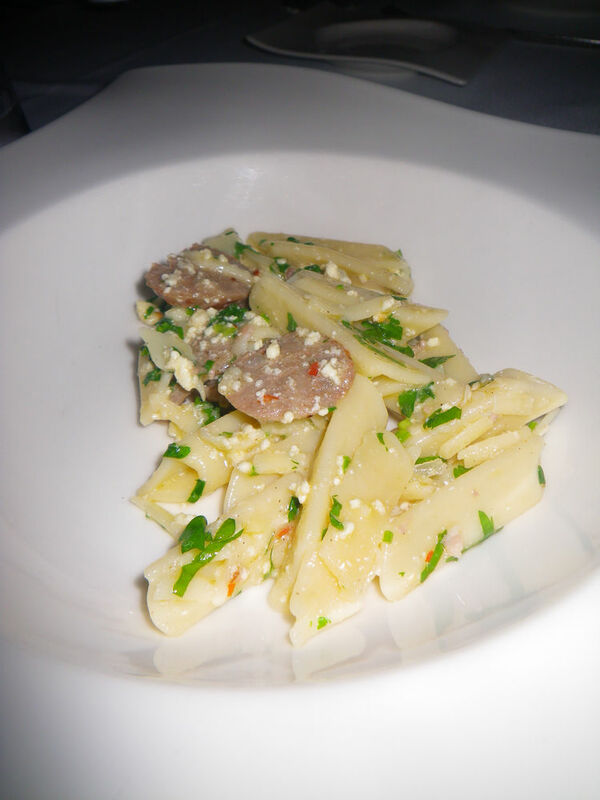 Being slightly fruity, the wine complemented the pasta dish, especially the pork sausage well, and the balanced acidity can reduce the strong ricotta flavour while promoting flavours of the whole dish. Full bodied with moderate ageing potential of 5-6 years. The fourth course was a meat dish with an even better wine with reasonable price. This dish was just amazing! 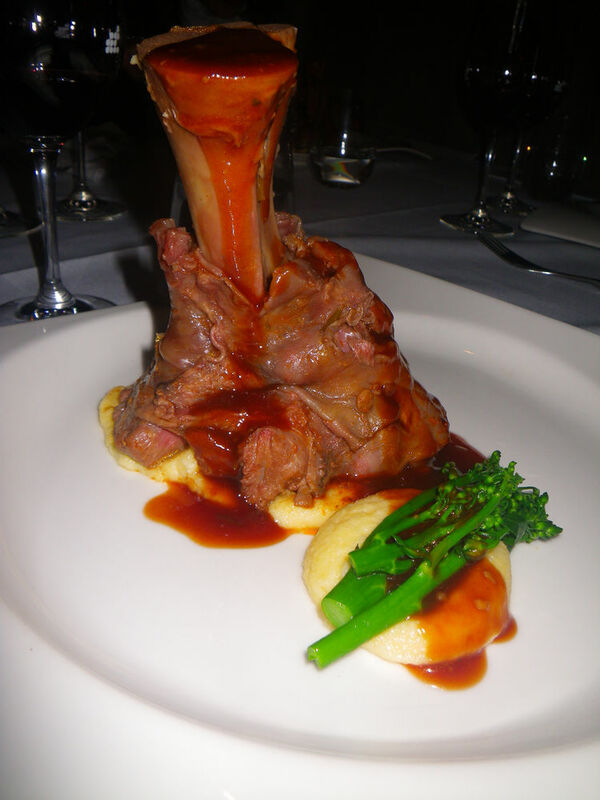 The veal was slow cooked to perfection and one can easily separate the meat from the bone easily. It literally just felt off the bone when being touched. The meat was so soft and juicy and even people without teeth can eat it easily. Well, just saying. The complexity of wine flavours and fresh tomato has gone into the sauce completely and with the addition of veal juices, it just go better. This sauce added all these fantastic flavours to the meat and made the dish so tasty! The roasted garlic was an added bonus as the garlic richiness reduced the meaty flavour but promoted the wine flavour. This wine was so good! It was even more amazing than the dish. Strong intensity of the red color with plum, cherry and blackcurrant on the nose with a toasted almond finish. 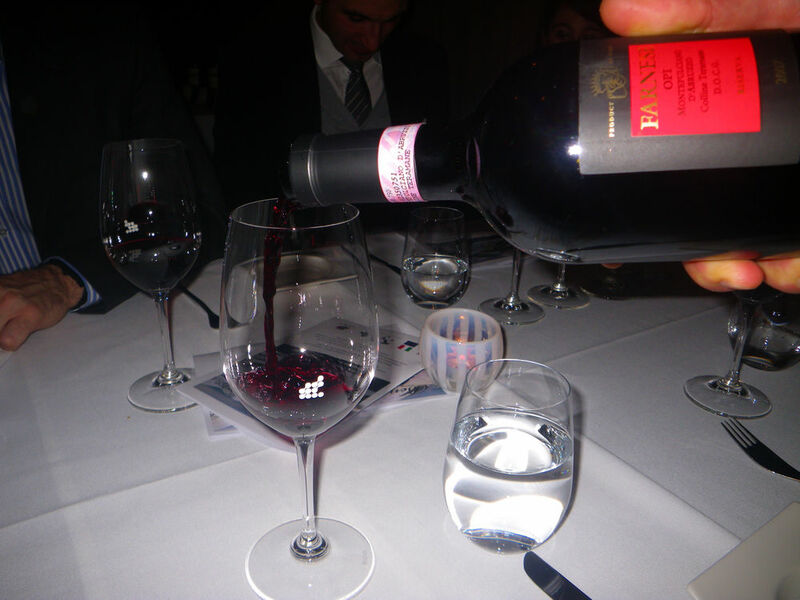 On palate, the wine was soft, very fruity, balanced and full of tannins, proving a long lasting of spiciness of chocolates. 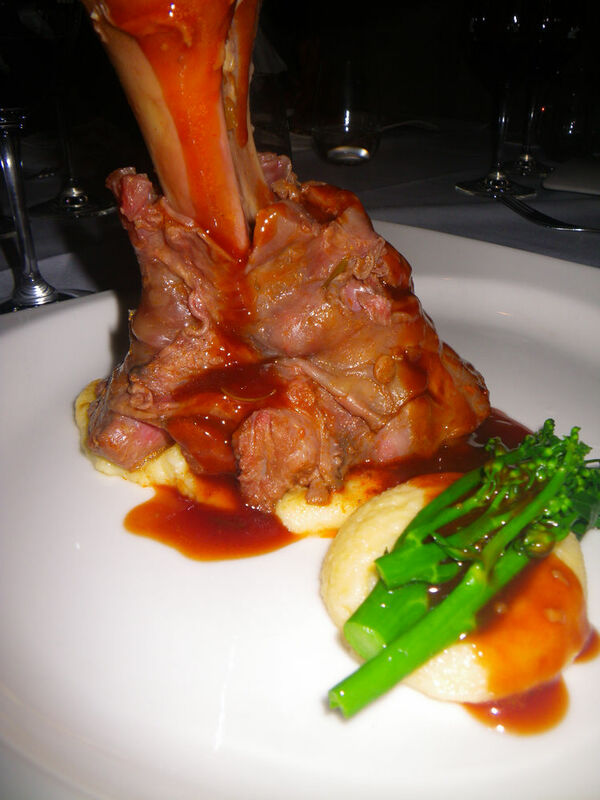 The wine was the perfect accompany to the veal dish as it did not only enhanced the flavour of the dish but also improved the dining experience significantly. Ageing potential 7-8 years. 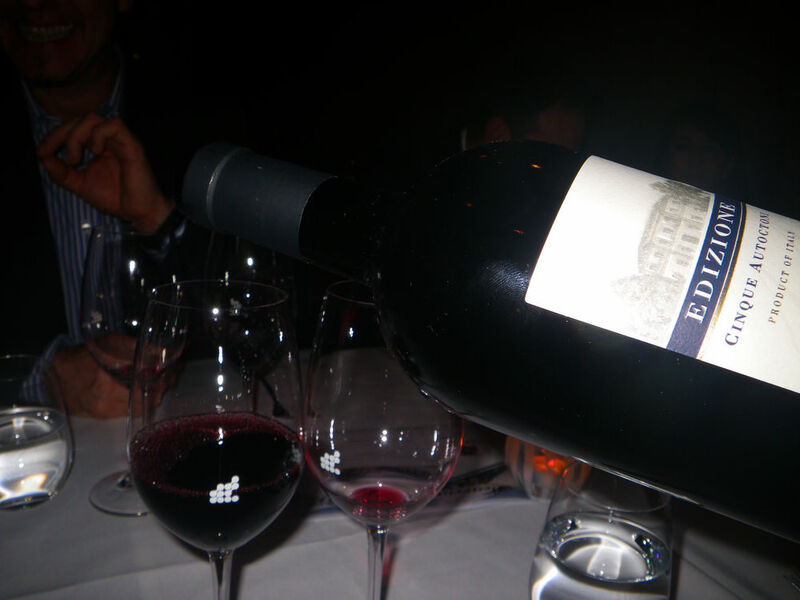 It is worth to mention that the bottle of the wine was super heavy, probably over 1 Kg itself. 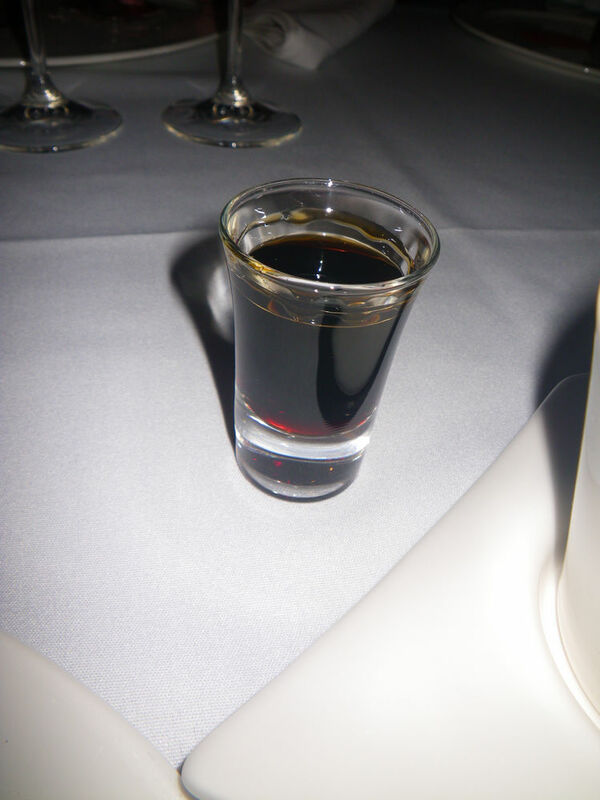 Before the dessert, a specialty liquor from Abruzzo region was served. 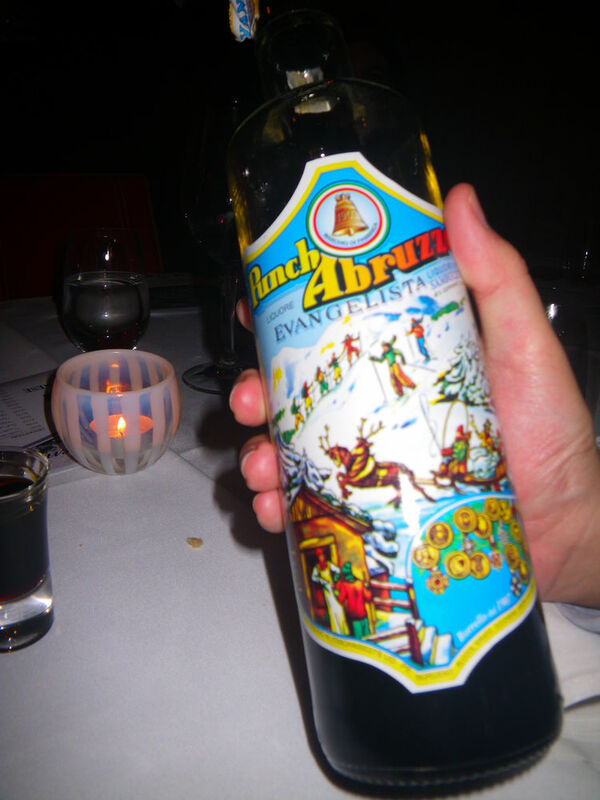 Punch Abruzzo was first produced in Borrello, a small cold mountain village, where Mayor Antonio Evangelista heated liqueur at the fireplace and the diffusing aroma attracted many people. By 1907, Punch Abruzzo was famous and awarded several prizes and medals. The liquori was made of a secret recipe and the alcohol level was 45%. On the first sip, the liquor was so strong but the more I drank, it was more pleasant. In short words, alcoholic coca cola would be the appropriate term to describe the drink! Love it! A very good and tasty dessert. By now, I’ve had too much food and could not finish it. The gelato was refreshing, esp. after tasting so many wines. 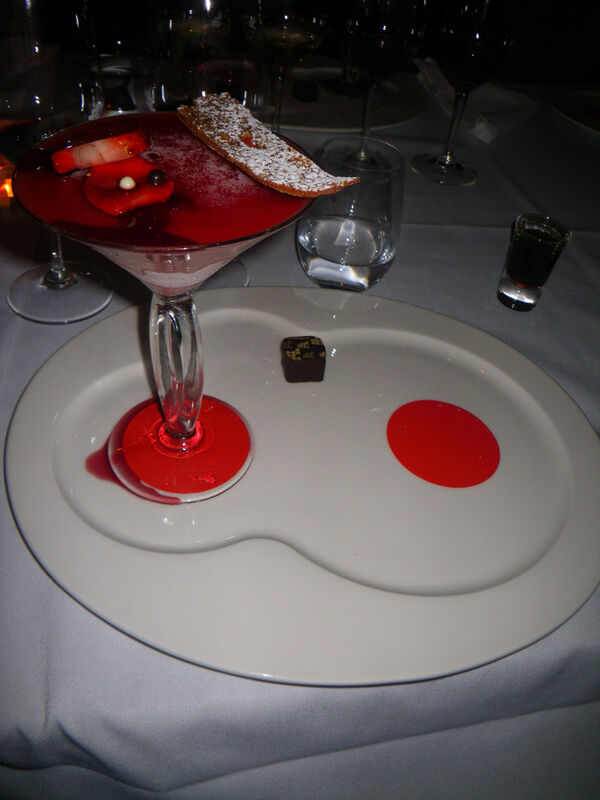 The biscuit was crunchy and tasty and the wine added slight alcoholic flavour to the dessert. Did you see that little chocolate? I found it in their central market store too! 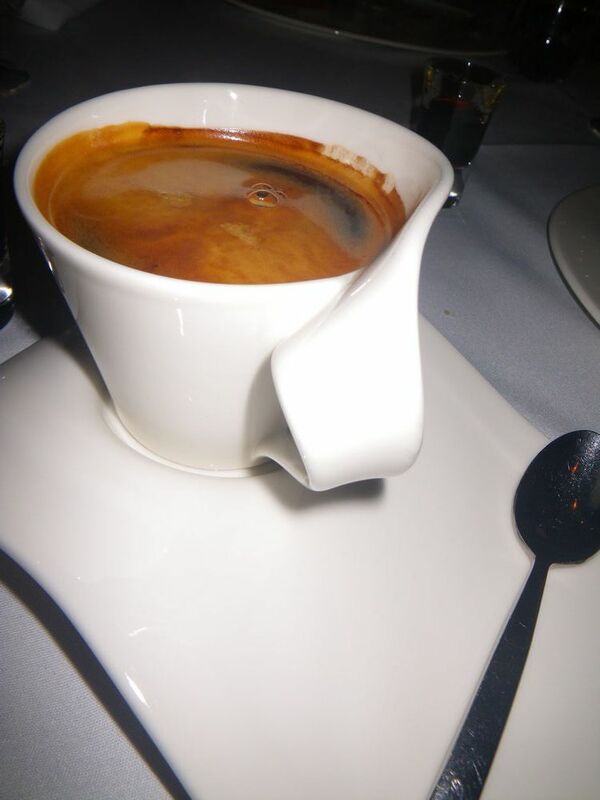 The coffee was Macchiato to finish the wonderful dinner! With the Qualitaly Abruzzo, the dinners traveled virtually to the region and everyone was satisfied with the quality of food and the service. The Italian Chamber of Commerce and Industry really put a lot of efforts to organise this event and Festival City contributed some really good and affordable wines. The event promoted the authentic Italian Abruzzo regional cuisine, wines and culture well to the local Adelaide community. Well done! The next Qualitaly project will take people to Tuscan. 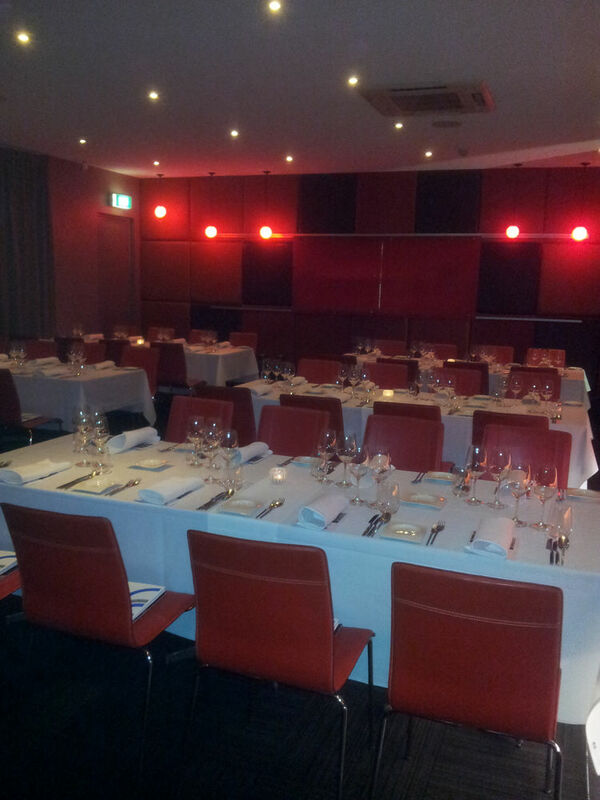 The dinner cost $120 for non-members including food and matching wines. Highly recommended and valued event! Join in to experience what authentic Italian cuisine has to offer! Next time to Australia, I will go for the veal! What a fine feast you’ve had! Dined at Assaggio cafe before but never actually tried the restaurant. The Qualitaly project looks brilliant too! I actually only tried their cafe once before and heard words about it. They have a stall in the central market too! Yes the Qualitaly project is fascinating and I do hope every culture eg, French, Chinese, Japanese can host things like this cos it’s really good to showcase the real cuisine to other cultures! Sure Rob! There are many fine places in town. Enjoy the dinner! G’day Xin! 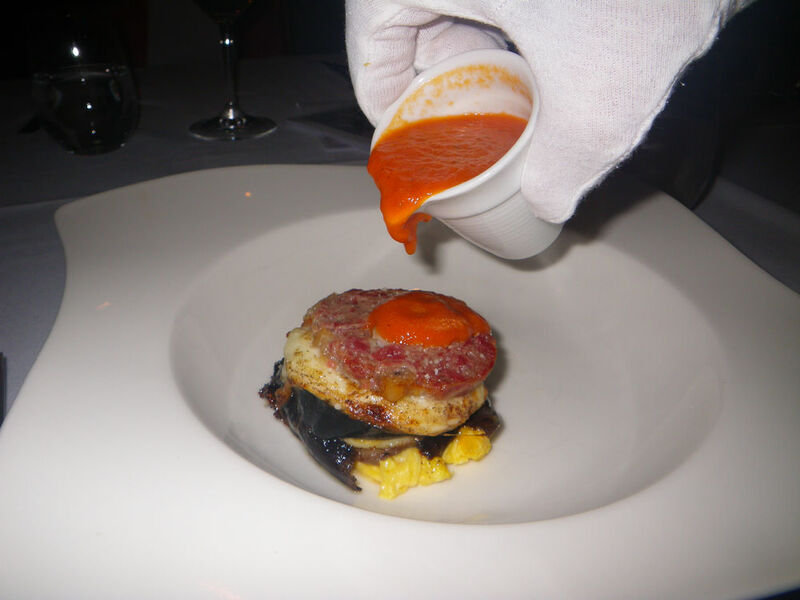 I could not take my eyes off of the Stinco di vitello al Montepulciano, true! Yes, Joanne! The veal was delicious and so huge and this dish alone can get a hungry belly fixed. LOL It’s great the Italian community has this program so people from other cultures can have a chance to indulge these beautifully cooked food! OMG! The veal looks so delicious and juicy! I am a veal lover and just cannot resist it. Thanks for sharing, Xin! Haha, looks like everyone likes the veal dish! It is definitely a winner! What a fantastic experience that must have been! Abruzzo is a not so well known region of Italy, but one that has much to offer, in terms of nature (the Abruzzo National Park is beautiful), food and wine. You shure had a great sampler! Farnese is a very good producer and I think you had two great treats: getting to try Pecorino (an indigenous variety that was saved from extinction in the early eighties) and the excellent Cinque Autoctoni, which is a great red. Wohoo, spotted husband and wife business. My wife is mainly the chef too LOL Yep, the Farnese wines are really nice at reasonable prices too which are cheaper than the same quality ones in Australia. 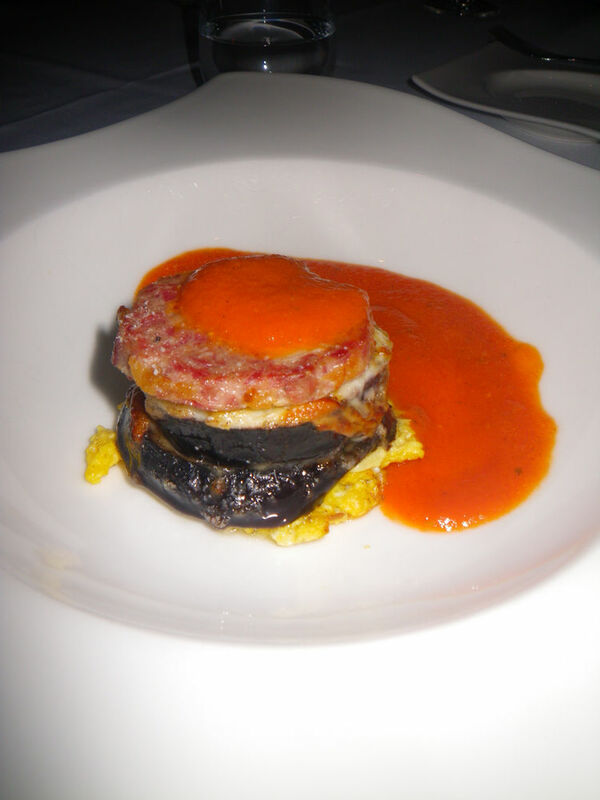 This is the first time I heard Abruzzo and its cuisine was very distinctive! Kind regards and keep on blogging!